To avoid another failed effort at federal reunification in the new round of Cyprus negotiations, all sides should break old taboos and discuss all possible options, including independence for Turkish Cypriots within the European Union. 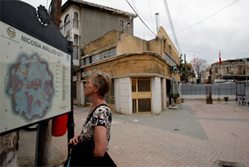 New political will in Cyprus, Turkey and the international community for a settlement is fanning hopes the current round of talks on a bizonal, bicommunal federation can succeed. Yet, no new factor has appeared to change the content of the five failed rounds of negotiations over four decades. In its latest report, Divided Cyprus: Coming to Terms on an Imperfect Reality, the International Crisis Group examines why the current framework has proved fruitless and suggests opening a debate on the idea of an independent Turkish Cypriot state within the EU. Alongside the existing UN-facilitated talks, the sides should explore on what terms they might agree such a European solution, which would not only benefit the island’s flattened economy but also end decades of uncertainty and perceived isolation. All sides need to face the reality that the problem is not so much today’s divided status quo, but its non-negotiated status. A settlement that takes this into account is the only way to provide both communities with a solid legal, political and economic framework on which to build their futures. Any deal must be consensual and backed by voluntary Greek Cypriot agreement. To win Greek Cypriot consent to an independent Turkish Cypriot state, both Turkey and the Turkish Cypriots would have to agree to pull back all or almost all of Turkey’s troops, give up the international guarantees that accompanied the island’s independence in 1960, compensate Greek Cypriots for the two thirds of private property in the north owned by them, be generous in handing back occupied territory and agree that the Greek Cypriots inherit their part of the coast, new natural gas deposits and all. Greek Cypriots would have to support an independent Turkish Cypriot state becoming a full part of the EU. That is currently taboo but could be a way to answer their deep wish to reunite the island in everything that matters, including currency, basic norms and regulations, EU laws and visa regime. “Exploring the terms for two independent Cypriot states in the EU may persuade the sides they do in fact prefer to negotiate a federation”, says Hugh Pope, Crisis Group’s Deputy Program Director for Europe and Central Asia. “But to reach any deal at all, the two sides will have to do much more public diplomacy to earn each other’s trust; will have to build on recent direct communication between the Cypriot sides, Athens and Ankara; and be realistic about what they want and can achieve”. “Without a settlement, the frictions of the non-negotiated partition will simply continue, and regional cooperation will continue to be blocked by this decades-old obstacle”, says Paul Quinn-Judge, Crisis Group’s Europe and Central Asia Program Director. “What all Cypriots want and need most is an end to uncertainty and a long-term perspective on which to base their and their children’s lives”.